With its lightly distressed, warm wood top and its hand distressed base of metal tubes, this chairside table blends two complementary materials, giving off an on trend, industrial, rustic look. Enjoy the convenience of a table right next to your favorite spot to sit without sacrificing the modern style of your living space. Thanks to its "C" shaped base, you can even slide this table right under your sofa to form an instant and convenient work space. 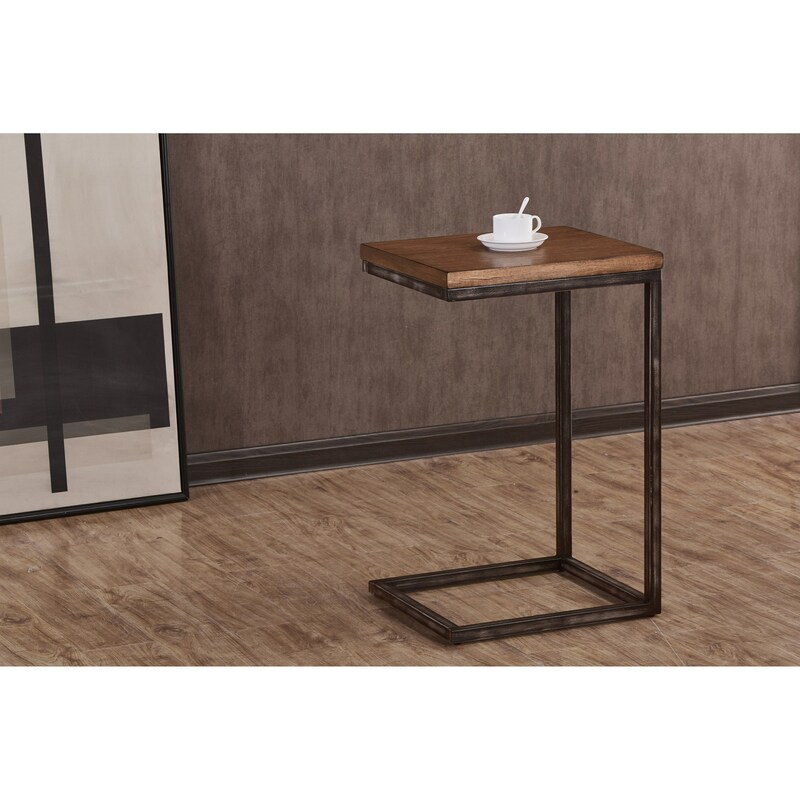 The Chandler Contemporary Industrial Chairside Table with Distressed Finish by Simmons Upholstery at Royal Furniture in the Memphis, Nashville, Jackson, Birmingham area. Product availability may vary. Contact us for the most current availability on this product.